Click Here for our Wholesale Store Bulk Case of 18. Buff and Shine 5� Uro-Wool Aggressive Cutting Pads in Bulk lets you pick from 4, 8 or 12 pads at money saving bulk pricing. The Buff and Shine Uro-Wool Cutting Pads were engineered to take aggressiveness to a higher level for jobs that require heavier cutting. 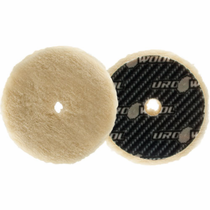 The Buff and Shine 5� Uro-Wool Cutting Pads have the capability of finishing to a farther level for less follow up polishing step requirements. You will find that jobs that may have taken several steps in the past may now be accomplished in just two steps by following up with the Uro-Fiber or Uro-Foam Pads. Heavy swirl marks that are associated with twisted wool are also not a worry when using rotary buffers. The knitted wool does not leave the pigtails that are very common with twisted wool pads on dual action polishers. The Buff and Shine 5� Uro-Wool Cutting Pads should not be confused with the traditional wool pads, the advanced technology Uro-Wool is a soft knitted wool that is made of hundreds of wool fibers per square inch for uniform construction resulting in reduced shedding and consistent results. The Buff and Shine Uro-Wool Cutting Pad has virtually no depth to the interface between the wool and the backing material to allow the polisher transfer more directly to the paint surface, resulting in faster correction times and excellent leveling capabilities. 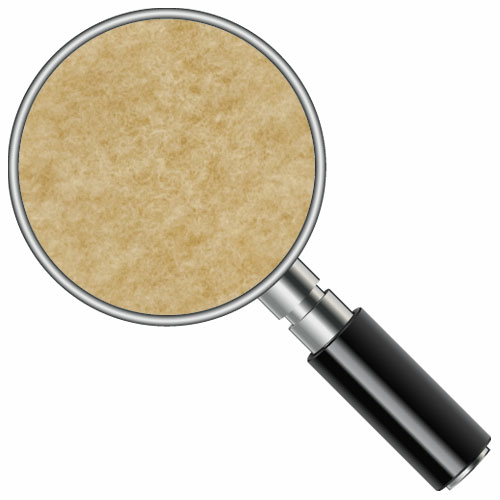 During Use: Cleaning should be done with a Buff and Shine Wool Buffing Pad Cleaning Spur to dislodge polish often during use. Do not use a screwdriver or anything similar tool to spur wool pads as this tears up the wool fibers and shortens the life of the pad. Between Uses: After use clean your Buff and Shine Uro-Wool Cutting Pads by spurring with a Buff and Shine Wool Buffing Pad Cleaning Spur then store it in a clean plastic bag. If your pad is moist from your polish or compound allow it to dry by setting it out face up on a clean, dry surface prior to placing it in the plastic bag. 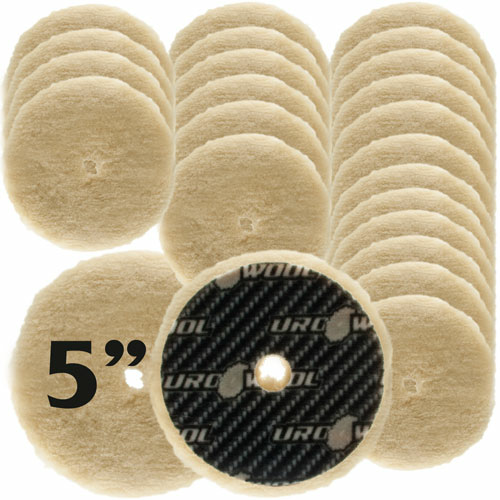 When using your Buff and Shine Uro-Wool 5" Cutting Pads for the next job, spur off the excess dried-out polish or compound prior to use for peak performance. Per the Buff and Shine, washing Buff and Shine Uro-Wool Pads is not recommended.